Global telecom giant Huawei today launched Hangout and Android series of mobile phones in India. Currently, Huawei sells handsets in India through their business partners. For instance, the Huawei U7510 is a 3G phone that is already available on BSNL network. 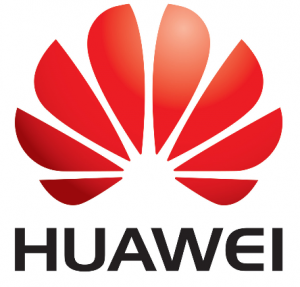 As per the new plans, Huawei will sell mobile phones directly to the open market using their extensive retail chain. Huawei mobile devices will be designed for the mass segment, and the cost the devices are expected to be at the lower side. The handset maker has decided to make use of QUALCOMM Brew OS and the Android OS. The new Huawei U9130 hangout is a low priced mobile device based on QUALCOMM brew OS . We have seen this OS in the HTC smart. However, Huawei U9130 uses a customized version of Brew OS, and a QUALCOMM manufactured processor. Huawei U9130 has a 2.4 inch color screen and QWERTY keypad. This 3G enabled handset comes with a WAP 2.0 web browser and has social networking and email connectivity. Standard features like GPRS, EDGE, Bluetooth, A-GPS and USB are also available. The Huawei U8300 is one of the cheapest Android phones in India. 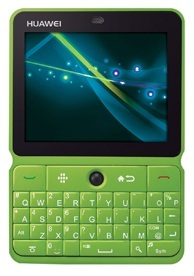 It has a special square tablet shaped design that fits a touch screen of reasonable size and a QWERTY keypad. The device supports 3G, GSM networks and WiFi, Bluetooth connections. Huawei U8300 also includes a 3.15 mega pixel camera with LED flash. Huawei is set to launch around 20 mobile phones in India by the end the month August. Detailed specification and price of all Huawei mobile phones will be available soon. I shall be thankfull to you, if you kindlylet me knwo the procedue fordealer ship of Huawei mobile phones,and terms and conditions for the same and oblige. hi i want to buy huawei ideos x7 mobile any seller for this mobile?